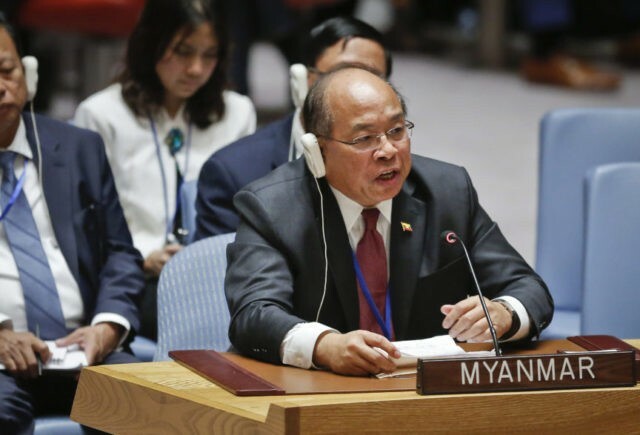 UNITED NATIONS (AP) — The U.N. Security Council’s first open meeting on Myanmar in eight years has highlighted the body’s deep divisions. China and Russia supported the Southeast Asian country’s government while the U.S., Britain and France demanded an end to ethnic cleansing of its Rohingya Muslim minority. U.S. Ambassador Nikki Haley said Thursday the council must consider action against “security forces who are implicated in abuses and stoking hatred among their fellow citizens.” She urged all countries to suspend the supply of weapons to Myanmar’s military. But the prospect of a strong council response appeared unlikely after both China and Russia supported the government’s approach to tackling the crisis.